White nationalists, neo-Nazis and members of the "alt-right" clash with counter-protesters as they enter Emancipation Park during the "Unite the Right" rally on August 12, 2017 in Charlottesville, Virginia. The group behind the deadly white nationalist rally in Charlottesville, Virginia, last year is planning a one-year anniversary rally near the White House in August — and the National Park Service has given organizers initial approval. Organizers of the 2017 Unite the Right rally want to host the event in Lafayette Square Park on August 11 and 12. About 400 people are expected to participate, according to the application filed on May 8. Jason Kessler, the organizer of the rally, wrote on the application that the purpose of the event was to protest the “civil rights abuse” in Charlottesville, and host a “white civil rights” rally. The rally in D.C. would be held exactly a year after a driver in Charlottesville plowed into a crowd of people peacefully protesting the white nationalist rally, killing 32-year-old Heather Heyer and injuring dozens of others. Initial approval of Kessler's application indicates that no other individual or group already has a permit for the requested location or time, National Park Service (NPS) spokesman Mike Litterst told News4. NPS is required to be "content neutral" in considering whether to grant permits for events, he said. "This is the First Amendment right of all Americans to speak freely and assemble peaceably, regardless of what their message is," the NPS spokesman said. 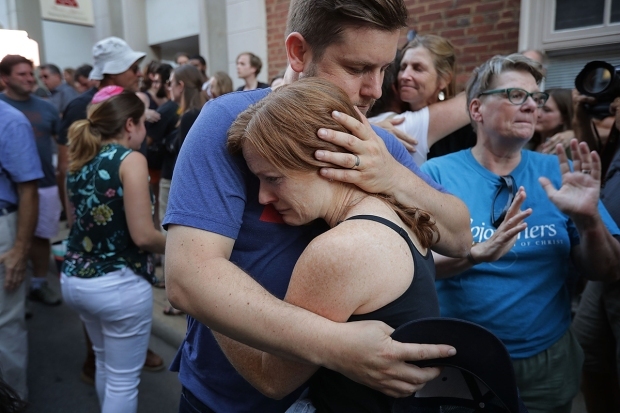 In December, Kessler submitted a permit application to host the anniversary rally in Charlottesville, but, the city rejected it, saying the event would present a danger to public safety. Kessler has filed a lawsuit against the city over its denial. He stated in the application for the D.C. rally that he expects members of Antifa-affiliated groups to protest. 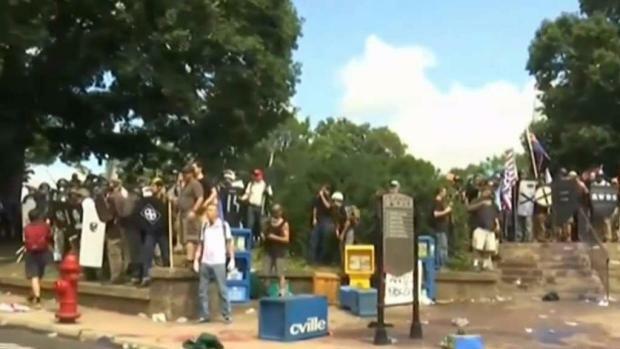 News4’s Chris Lawrence walks through the events leading up to the Unite the Right rally and the weekend's violence in Charlottesville. Antifa, which stands for “anti-fascist,” is an organized group of protesters, left-wing activists and self-described anarchists who aim to confront those who support bigoted or totalitarian views. Kessler wrote in the application that attendees would meet at a rally point and march to Lafayette Square Park to give speeches. Afterward, the group would march back to the rally point alongside law enforcement. James Fields, the driver accused in the 2017 attack, faces 10 felony counts, including first-degree murder. NPS is getting additional information from the rally organizers, Litterst said. The NPS permitting office will review the application in coordination with U.S. Park Police. If NPS grants a permit, they then would coordinate with U.S. Park Police, D.C. police and the Secret Service. It's not clear yet when a permit will be approved or denied.